We had the opportunity to visit the second grade class at St. Boniface and Elgin Public in the month of February. Because February is Dental Health Month, we read the story Hippo’s Tooth Surprise by Marjorie Dennis Murray. This book tells of a hippo having a tooth ache and how the tooth comes out. 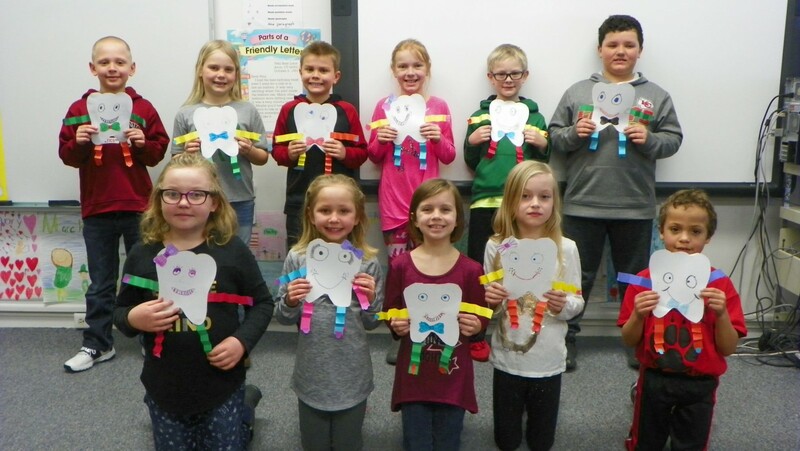 After reading the book, they made either a dental health tooth girl or boy. Toothbrushes were given to the students. They were donated by Kersenbrock Family Dental of O’Neill. Below is a picture of the second grade class from Elgin Public School. Next → Next post: Book Club Book is In!